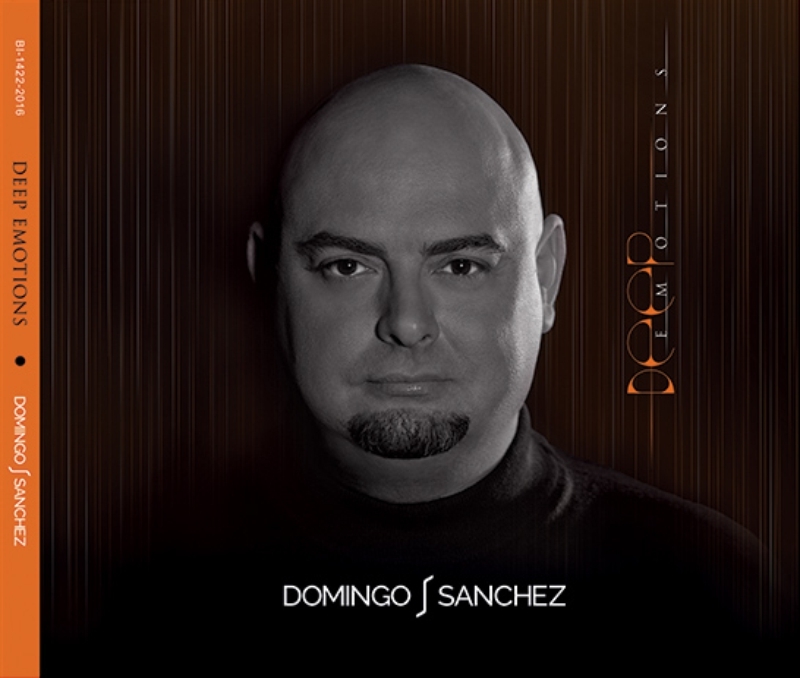 April 24, 2019info@domingojsanchez.comNew album "Deep emotions" now on sale!! 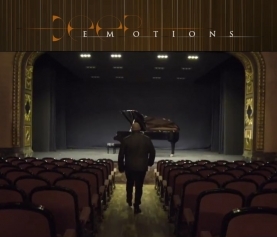 Deep emotions is the latest album by Spanish pianist Domingo J. Sánchez, released on January 2nd 2017.. When I started shaping this project, the first thing I asked myself was what concept I wanted Deep emotions to revolve around. Ultimately, just like its name, I decided that all the music had to be based on emotion. 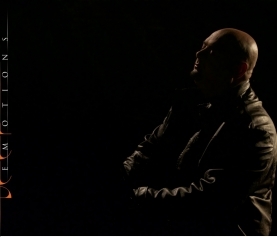 Each piece that I composed would have high emotional charge so that the audience could relate to it. We all started enjoying music in our childhood because it moved us. However, for some time now, music has been composed from a merely intellectual level and, although many other musicians have not given up on emotion, I think it is time to reinforce this concept as the driving force of musical creation. I felt the need for straightforward music to touch people’s sensitivity, getting easily into their soul and filling it with feeling. I normally present each piece together with a short commentary about personal experiences that led me to the emotion I wish to portray in it. In that way, I expect listeners to relate to those experiences and build an emotional bond with each piece. This work takes its inspiration from love in a couple relationship; the purest, most sincere and profound emotion felt when you truly love the person you share your life with. I entered the living room and my father was there, his shirt off, lying on the sofa watching TV. I greeted him taking his hand. He looked at me with love…Even though it had been four years since he passed away I know he was with me that night. I woke up in tears for realizing it had been a dream. The first thing I did was sit at the piano and play. The melody you’re about to hear came straight from my soul…pure music, pure feeling. I thought it would be a good idea to compose a piece to encompass all those moments in which we feel tense because we’re in the stage of awaiting: be it the arrival of a taxi that is taking too long and must take us to a meeting, appointment or important event, exam results when there is a lot at stake, an answer from a person to whom we have declared our love, our son coming back home after going out with friends, life changing medical results…all these situations are for us a source of distress and anxiety. It is waiting time, a time that normally nobody wants but that we must all go through at some point in our life. Decisions is a piano piece I wrote inspired by those important times in life in which we must make a decision that will lead us to a better future. My personal example is when I quit smoking almost two years ago. Unquestionably has been one of the best decisions I’ve ever made. Going back to the piece I present to you today, Decisions arises from a meditative mood, an honest and simple piece. When I was a young boy, my mother had a music box in her bedroom. When I opened it a ballerina appeared, dancing to a sweet and wonderful melody that bewitched me. Whenever I had a chance, I would open the little music box to see that ballerina going round and round, dancing endlessly…well, until the wind-up power was off and I closed the box. This piece is dedicated to all the women for whom their home, in which they started their couple life with hopeful anticipation, has in time become their prison and they’ve seen their dreams turn into something as distant as a mirage in a desert. Shortly before she died, my grandmother gave me a key-ring. It really grabbed my attention because it was a golden figurine that resembled some South American deity and, besides, looked like an astronaut or something like it. One day I was visiting a friend and, as I was telling him about this and showing him the key-ring, the figurine appeared on the TV, in a documentary. Coincidence or not, truth is I did some research on internet. Indeed, the figurine represented the ancient Incan sun god, called Inti in Quechua language. There’s so much truth in the saying the eyes are the windows to the soul. I composed Your eyes thinking about the emotion that one look can bring out. What does Iberian feel like? Iberian feels like passion, joy of living, diversity, contrast, devotion…Iberian feels like a great blend of things which, combined, give us a unique and distinct personality in the world. People from other countries know that, and they come over to enjoy it and also learn from our way of making the most of life. I composed Iberian nights thinking of those magic summer nights in which people are out on the street, chatting with friends and having a drink, and enjoy themselves until the early hours of the morning; all in all, our very particular and personal way of making the most of life. When I wrote Impressions d’automne I imagined leaves falling continuously off trees and how the sunrays slipped through the branches and lit up my face. Imagine a sunset, where we can see a range of ochre shades playing with the blue of the sky. To me, fall is the most beautiful time of the year; a time that encourages reflection and, if we had to identify it with the stages of life, I’d say it goes hand in hand with maturity. This last piece in the album is a chant to freedom and the joy of living. Freedom, a concept that has always been much discussed. In this respect I suppose it arises from within, the feeling we get when we detach ourselves from a limiting tie. At last a reality, Deep emotions is released after two years of arduous work. Now is the time to get it and enjoy.